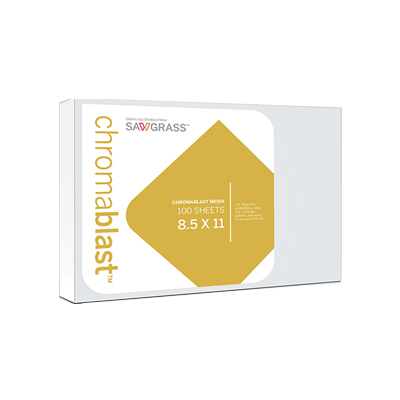 ChromaBlast digital garment printing solution rivals that of expensive direct to garment printing systems. 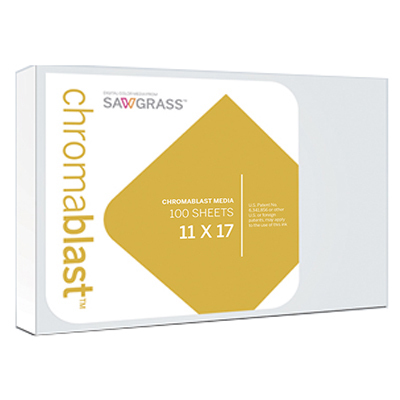 ChromaBlast heat transfer media is engineered to work seamlessly with ChromaBlast heat transfer inks to deliver commercial quality prints, with unmatched color vibrancy, wash-fastness and a soft feel. 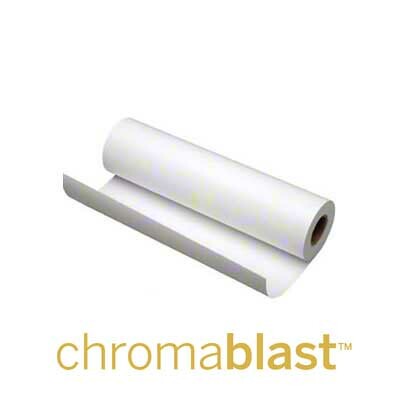 Unlike conventional heat transfer paper found in your local office supply or craft store, ChromaBlast’s patented chemical process sets it apart from any other form of digital cotton printing. As heat and pressure are applied during pressing, a cross-link occurs between the cotton, ink and media which transfers and binds the image into the cotton fibers.